We all hear about the obesity epidemic a lot. I, for one, have done several previous posts on it myself. People are always discussing the causes or how to fix it and it seems like this epidemic is something that continues to plague the minds of the medical world. No pun intended. Just recently, the American Medical Association declared obesity as a “disease.” That means about one third of the people in the U.S. have a disease today that they didn’t have a few days ago. 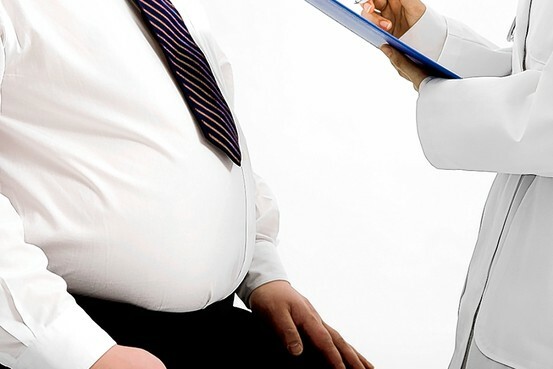 Citing several reason linking obesity to chronic disease, the AMA describe this move as an effort to urge physicians and insurers to recognize the need for obesity treatment. From this decision, a great deal of debate has erupted regarding the implications. So here I am to weigh out some of the pros and cons of defining obesity as a disease. Pros. Obesity, like many other diseases, impairs the normal function of the body. Those who are obese have excess fatty tissue which can affect the regulation of food intake and energy expenditure. It can also decrease a person’s life expectancy or lead to death. Adult obesity can cut three years off someone’s life. There have been studies that show that obesity has inheritable aspects. That is, it is not alway the result of poor diet or low levels of exercise — sometimes it’s just in your genes. The AMA believe recognizing it as a disease will change the way the medical community tackles the issues. Medical professionals may take it more seriously, be required to learn more about it and be prepared to treat people for it. It may also inspire new ways to address it, such as new treatments or prescription drugs. And lastly, at the moment treatments for obesity are not covered by many insurance companies but, with this decision, people may begin to receive the care they really need and have it covered. Cons. Others argue that obesity itself does not impair the normal functioning of the body in the way other diseases do. There are people with BMIs that classify them as obese who are not physically unhealthy. They further argue that there are no signs or symptoms of obesity other than excess fat. These arguments are mainly based on the point that obesity is not a disease but a risk factor for other diseases. Just as smoking is a preventable risk factor for lung cancer, obesity is a preventable risk factor for diabetes, heart disease and the likes. One of the issues opponents have with the decision to classify obesity as a disease is the way in which it is diagnosed. 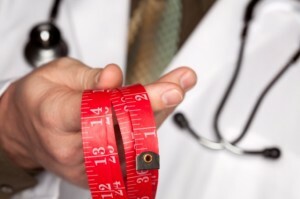 As mention, obesity is diagnosed when an individual’s BMI is over 30. However, the chart used to calculate can often misclassify healthy people as overweight and unhealthy people with high levels of fat and insulin as a healthy weight. These can lead to misdiagnoses and skewed statistics. Many also fear the disease classification may cause people to feel less in control of their weight and health, which can lead to self-defeating behaviors. They may simply write it off as an illness they have, and use it as an excuse. There is also the matter of semantics in this debate. There are a few possibilities: 1) it’s not going to make a difference to patients whether obesity is classified as a disease or a condition 2) there could be less stigma because others might be more compassionate and recognize that obesity is not always someone’s choice to be lazy or unhealthy or 3) it might create more stigma by now labeling people with having a disease. My personal opinion? I think the AMA’s decision was a necessary call to action. While this debate about whether it is really a “disease” may continue, the truth of the matter is that obesity is something that needs to be addressed. I believe that this is a step in the right direction — we are calling more attention to it. Good things can come from this. People will start getting the care they need as the medical world begins to tackle this issue with more force. Who knows, maybe your doctor will be writing you prescriptions for a healthy meal soon!